"Lori Fontyn is a true professional. She worked diligently not just to sell my home but to get it to closing which is a not an easy thing to do in this market. She is an excellent negotiator and represented my position fiercely. Her knowledge and marketing for my home were awesome. I couldn't be happier with the results." "Lori is wonderful to work with. Our house sold after only 5 days of being on the market. She got us full price and did all the leg work for us. She is professional and easy to get along with. We are planning on selling another property soon and will definitely call Lori to help us sell it and buy another. We look forward to working with her again." "My wife and I used Lori as our Realtor to buy a home. She did a awesome job finding exactly what we needed quickly. She makes the process easy and is easy to get in touch with. I would definitely recommend her." "Lori is the bomb. I used her (picked over the competition) to sell our house and it sold so fast with her help staging and marketing it that we hadn't found our new home yet! When it came time to sell again just 3 years later, we did not interview agents, we called Lori and she did the exact same thing yet again"
"Lori is 'My' one and only realtor of choice in the Greater Denver area. I have used her Realtor skills and professionalism in two purchases and one sell and in two different areas of town (Brighton and Parker). 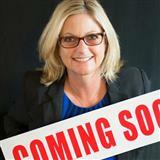 Lori knows real estate and she knows the Greater Denver area and she is quite simply 'The Best'!" "We were thoroughly impressed by Lori's professionalism and expertise. She knows the market, knows the areas, knows how to get the job done. We couldn't have been happier!!!" Your #1 resource for updated listings in Northern and Western Metro Denver: single family homes, residential properties, country estates, townhouses, condos, first-time home buyers, and foreclosures. Search for homes for sale in Arvada, Broomfield, Lakewood, Northglenn, Superior, Thornton, Westminster, Wheat Ridge and the surrounding Colorado cities. This real estate website is designed to provide you with the latest real estate market information for Northern and Western Metro Denver featuring a Jefferson County, Broomfield County, and Adams County, Colorado real estate search that will allow you to search Jefferson County and the surrounding cities, for local area homes just like Jefferson County, CO real estate agents do. 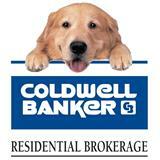 Looking for real estate in or around Jefferson County, CO.? Information is the key to effective decision making in the very complex realms of Jefferson County, Broomfield County, and Adams County CO. real estate practices. If you are looking for a real estate agent that is friendly, thorough, responsive, and possesses the skills and professionalism to help you buy or sell your home, then contact Lori Fontyn today. I am dedicated to providing the finest service available while breaking new ground. My unique market knowledge of Jefferson County, CO. Real Estate (including surrounding Northern and Western Denver cities) can save you countless hours, frustrations and possibly thousands of dollars. The goal is always to exceed your expectations by ensuring a smooth process throughout every real estate transaction. Whether you are buying your first home or moving up to your dream home, we can make each step easier. If you are selling in or around Jefferson County, I will introduce your home to thousands of prospective home buyers using proven marketing techniques and cutting edge technology. Let me represent your best interests in buying or selling real estate in Jefferson County, Colorado, including the surrounding cities of Arvada, Broomfield, Lakewood, Northglenn, Superior, Thornton, Westminster, and Wheat Ridge. As Your Exclusive Buyers Agent I will work full-time as your professional Coldwell Banker Real Estate Advisor, to help you buy the home of your choice, using my expertise to make buying your home a smooth, pleasant and enjoyable experience. As Your Exclusive Seller's Agent I will work full-time as your professional Coldwell Banker Real Estate Advisor, to help you sell your home for the highest price in a timely fashion, using my expertise to make selling your home a smooth, pleasant and profitable experience. Feel free to call or e-mail me with any questions you may have about buying or selling real estate in beautiful Colorado. I look forward to hearing from you! Thank you for visiting and I hope you enjoyed viewing the updated listings of Jefferson, Broomfield, and Adams County, Colorado Real Estate and Arvada, Broomfield, Lakewood, Northglenn, Superior, Thornton, Westminster, and Wheat Ridge, Colorado homes for sale. www.Denvermetrohomeguide.com offers Arvada real estate, Jefferson, Broomfield, and Adams, County homes for sale Thornton CO. real estate, and Westminster CO. homes for sale!